so that you can fulfill your dreams! DonorRise is an all-in-one fundraising platform and donor management system that helps nonprofits expand their mission. How Can DonorRise Help You? 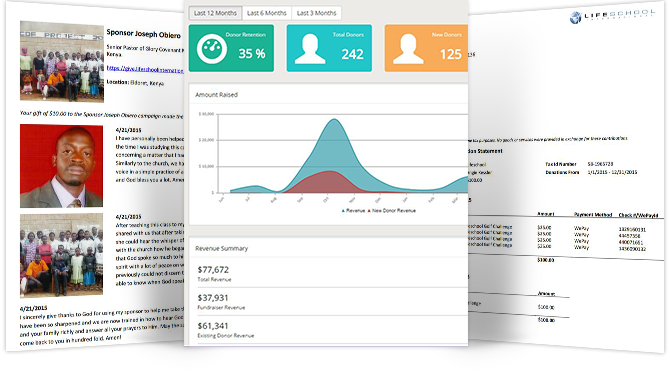 By enabling you to acquire new donors as you turn your fans into fundraisers. Leverage your pre-existing relationships to reach new donors who you would not be able to reach alone. Donors are far more likely to give because a friend or family member asked them to support a cause than if they received a random appeal from an unfamiliar organization. 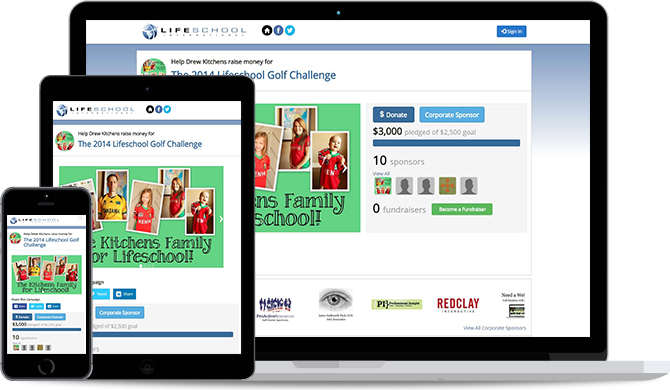 DonorRise enables your greatest fans to become fundraisers for your cause by creating a personalized fundraiser page in just a few minutes. DonorRise made it so easy for me to create a fundraising page, share it with my family and friends, and raise more money for a cause that I love! Donor retention is one of the greatest challenges that a non-profit faces. Unless you figure out a good solution, it is likely that 60% or more of your donors will only give once. DonorRise helps you retain more donors through our unique status update and email feature that enables you to easily inform donors of the impact that they are making. We receive testimonies regularly of how we are impacting people's lives. Thanks to DonorRise, we can now easily send these to the donors who made it happen! Say goodbye to spreadsheets and disconnected systems. DonorRise is an all-one-system that that allows you to manage donor activity from your crowdfunding campaigns, your online-donation form, and all of your offline donations. DonorRise's user-friendly interface allows you to easily create and manage pledges, add offline donations, and track your donors' giving history. DonorRise is so much more user-friendly than our previous system. It is actually fun to use! If a board member asked you about your current donor retention rate, could you quickly tell them? Is it easy for you to produce a tax receipt for your donors? Can you create a customized newsletter for each donor based upon the campaigns they have given to? Do you know who your top donors and fundraisers are? With DonorRise, all of this and much more is not only possible but simple! DonorRise has really helped us take all of our data and make sense of it so that we can make more intelligent decisions. Ready to reach and retain more donors? Fulfill your dreams and reach your goals with DonorRise. DonorRise is an all-in-one donor-engagement platform and donor-management system that helps nonprofits reach new donors, retain existing donors, and manage donor activity. DonorRise is an end-to-end solution that combines the best of crowdfunding, email newsletters, Twitter and Facebook-like status update features, and donor management tools so that you can grow and expand the mission of your organization.